Anthony’s Hair Design in Margate City: open on Wednesday (it was Wednesday); they answered the phone promptly; it’s probably just fine. Johnny’s Man’s World Barbershop in Ventnor City: I imagined sports memorabilia, the usual Ali-Liston photo (in black-and-white) on the wall, the lad’s mags… But I couldn’t imagine the place would be better than Upper Cuts in East Falls, Philadelphia, which as all those amenities, and delivers great cuts as well. “Man’s World” seems like it’s trying too hard. 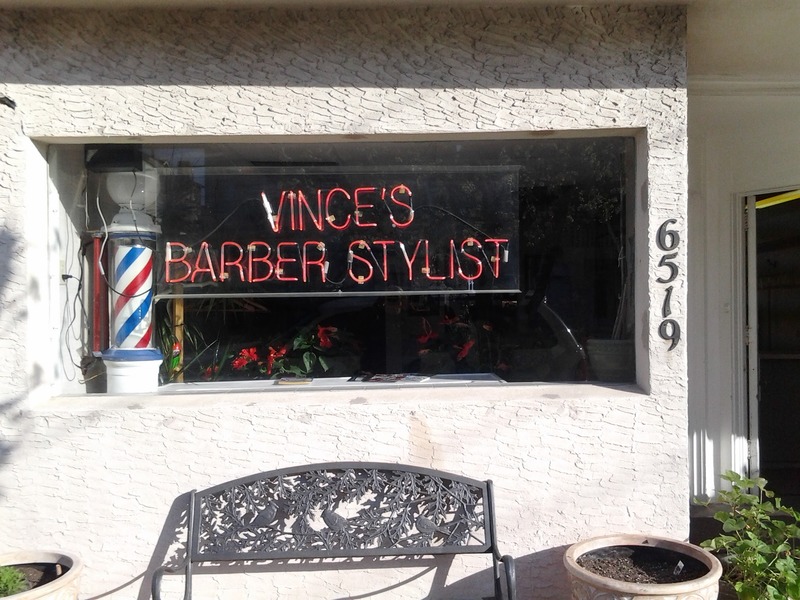 Vince’s Barber Shop in Ventnor City. This sounded classic. 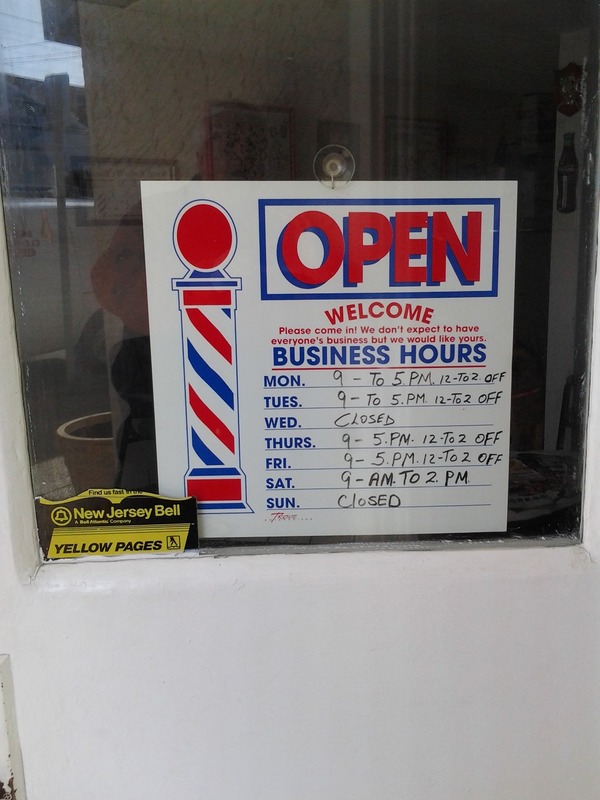 He was closed on Wednesday (the traditional day off for barbers [and doctors and dentists, noted my father-in-law, since they used to be one-and-the-same]),which meant that I’d have to wait. If it’s tradition, I’ll wait. It was also clear that Vince was Italian, and we were about to leave for Italy. On Thursday, here’s what happened.